Peer pressure isn't all bad. At times, it can be good. While many of us know the negative effects of peer pressure, you might be surprised to hear about the positive ones. 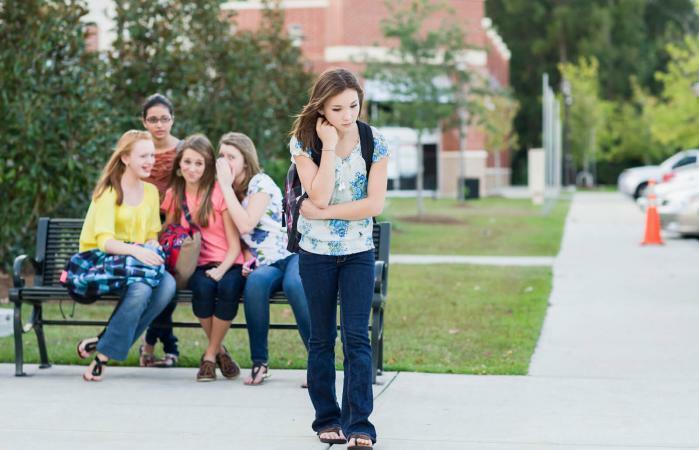 Learn how the different types of peer pressure can affect your teen in school and family life. Peer pressure is constantly a worry in parents' minds. You see it on TV. Maybe, you read an article discussing the latest incident at school. But is peer pressure all that bad? According to Carrie Silver-Stock, licensed clinical social worker, founder of Girls with Dreams and writer of the books Secrets Girls Keep: What Girls Hide (& Why) and How to Break the Stress of Silence, it can be. Carrie stated, "negative peer pressure can be detrimental to self-esteem, influence clear decision-making, and increase stress. In the worst cases, it can lead to harmful or dangerous behaviors that could result in death, such as car accidents involving alcohol, accidents, drug overdose, and more." Peer pressure can also affect families. In families, Carrie says "negative peer pressure might:"
While negative peer pressure gets way more news time, it isn't the only peer pressure that affects teens. Teens that surround themselves with positive people can also see the effects. "When teens surround themselves with people who are making good decisions and who are involved with positive activities and choices, this typically makes teens want to be better. Having positive friends increases confidence and self-esteem. If this peer pressure happens at school, it could improve a teen's grades or even friends," as reported by Carrie. Gender can bring about some fundamental differences. For example, it might affect how teens are affected by peer pressure. Carrie illustrated that "boys and girls might feel pressure for different things. For example, a guy might be pressured to race his car, or a girl might feel pressure to dress a certain way." However, peer pressure is also universal. Carrie said, "the effects are very similar for boys and girls. It's difficult to deal with pressure because everyone wants to fit in and be liked, boys and girls. Both can have negative and positive consequences depending on how they choose to react." One of the most common sources of peer pressure comes from friends. The way that this affects teens can vary. "Teens might feel cool for having a group care about them, or they might be worried or confused about how to make their friends happy while making a different choice. Teens might also feel like they won't fit in or be liked if they don't go with the crowd. Teens can also feel insecure about their beliefs or ideas," said Carrie. Giving in to peer pressure can make "some feel a sense of relief from fitting in somewhere." However, Carrie points out that "most of them eventually feel bad or guilty about giving in to peer pressure. It starts to erode their self-esteem, and it doesn't feel good always going against what they believe in." Resisting peer pressure can be hard for teens as well. Even, Carrie said, "it's usually not easy." She goes point out how it can affect teens. "In some instances, friends will have more respect for the teen and leave him/her alone. Other times, it can initially be very stressful, and friends might continue to pressure the teenager. However, once a teen gets over the initial shock and reaction, it will eventually boost self-confidence to its highest levels." Health issues (such as sexually transmitted diseases)"
Not only can peer pressure have short-term impacts on school and family, but the consequences of these effects can be long term. For example, teens might have a hard time as an adult getting a job because of poor academic performance. Relationships with family members can be ruined. Additionally, statistics on peer pressure from the Society for Research on Child Development found that teens that don't establish autonomy and independence from peers were at a higher risk for abusing drugs and alcohol along with illegal behavior after 10 years. "Create a space for open conversation - Talk to your teen about what is going on in his/her life. Make sure it's a two-way street, and you're not just in advice mode. If your teen doesn't want to talk as much as you do, hang in there. Consistently try to talk at least 10 minutes a day and build from there." "Model behavior - Parents might have similar situations at work where they feel pressure from others or where they might need to take a stand. Talk to your teen about what you're dealing with and how you've been able to deal with it positively." "Watch for signs of change - If you notice any major changes in activity levels, friends, sleeping and eating habits, or drinking, these are red flags and shouldn't be ignored." "Be supportive - Being a teen is difficult. It's hard to juggle school, friends, and peer pressure, too. Keep this in mind as you're helping your teen. Remember you can empathize, but that doesn't mean you need to change your rules or standards." 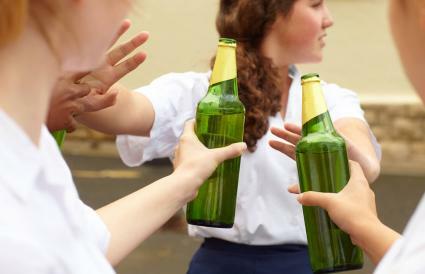 Teen peer pressure can be good or bad, depending on the intentions of the teens themselves. One thing is certain, peer pressure in this age group isn't going to just go away, so it's best not to ignore the issues that surround it.